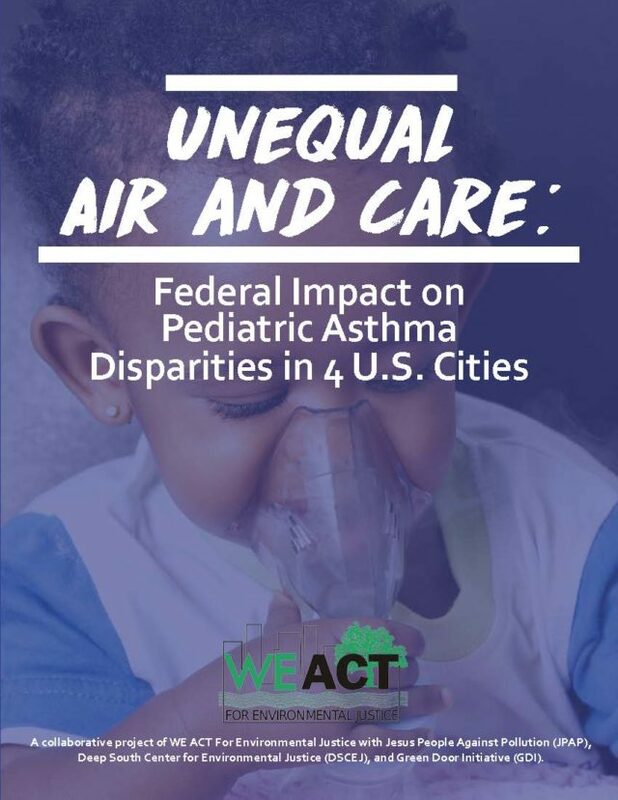 WE ACT’s newest report, Unequal Air and Care: Federal Impact on Pediatric Asthma Disparities in 4 U.S. Cities calls on the federal government to strengthen the 2010 Coordinated Federal Action Plan to Reduce Racial and Ethnic Asthma Disparities and utilize the report’s recommendations to end asthma disparities, particularly among children 0-8. The recommendations derive from a community-driven, collaborative project among four environmental justice organizations—WE ACT For Environmental Justice with Jesus People Against Pollution (JPAP), Deep South Center for Environmental Justice (DSCEJ), and Green Door Initiative (GDI)—and seek to improve federal coordination on the social factors contributing to asthma disparities nationwide. Funding for this project is supported by the Kellogg Foundation.